Having less than perfect skin can affect one's self-esteem, and acne, especially, has a way of eroding confidence. Has acne changed you? 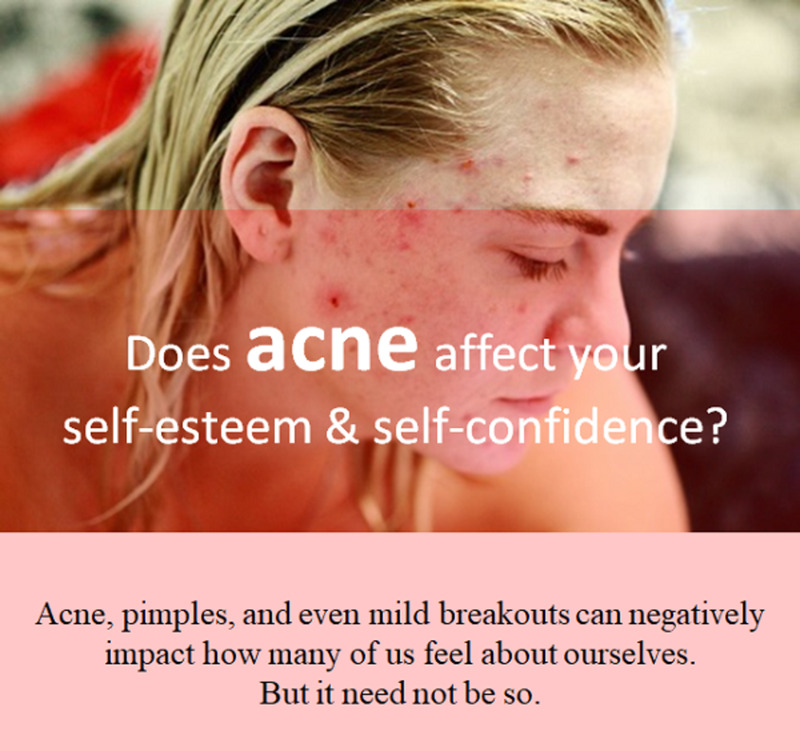 Does acne affect your self-esteem and self-confidence? If you are a young teenager or adult with acne, it usually does. It is a natural feeling, especially when you have friends or family members that are endowed with flawless acne-free skin. To say that acne affects more than your skin is an understatement. It can have a drastic effect on your life and lifestyle as well. Acne has a way of eroding our confidence, and when one’s confidence and self-esteem is eroded, the general outlook on life is affected. People with acne will tell those close to them how it affects their social life, at home, at school, and at work. A few will feel embarrassed about discussing their skin problem and will rather keep their thoughts to their selves, constantly fighting an internal ‘battle’ they never think they’ll win. Acne, pimples and even mild breakouts can negatively impact how many of us feel about ourselves, but it need not be so. In the past, acne was really a trivial problem. 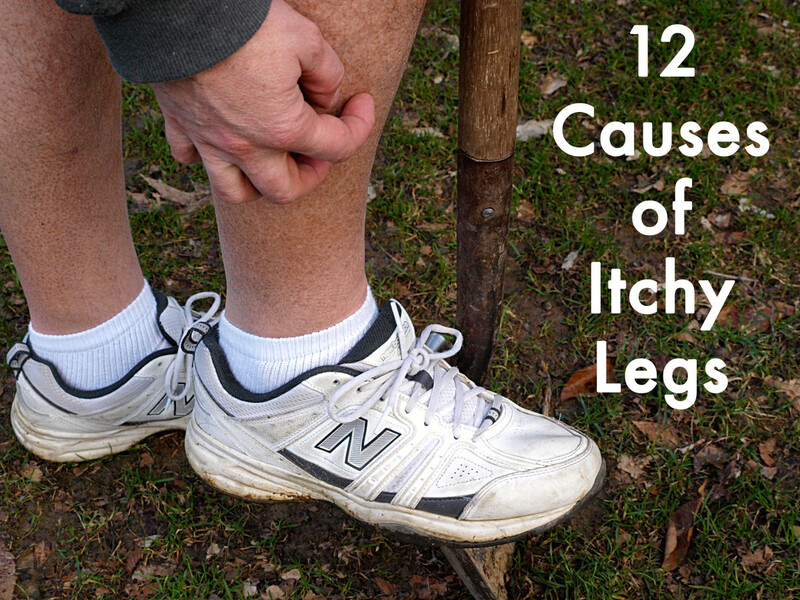 There were other chronic ailments that were more worrying that blemished skin. It was just regarded as a teenage problem that sooner or later may or may not go away. Today, it is a different story. Now, everyone wants to have a spotless face, because it appears everyone they know or come across have absolutely stunning looks, but it’s all in the make-up. You’ll be surprised that many do have blemished skin, whiteheads, blackheads, chronic acne, and the lot. So, now that we know that a high percentage of people have blemishes, what we need to worry about is how to ‘fight’ those blemishes and work on how they make us feel. 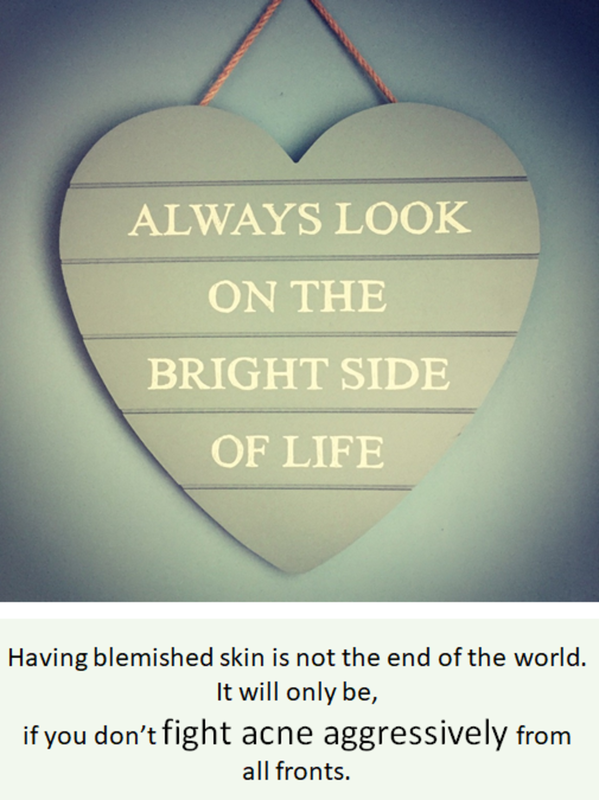 Having bad skin is not the end of the world. It will only be to you if you don’t fight acne aggressively from all fronts. Firstly, you must have a strict regimen. If you don’t work on it, it usually does not just disappear. Once you begin to treat your blemishes, you are on the road to regaining your self-confidence. You have a goal and that goal is to treat your skin. Secondly, once this regimen is in place and you keep to it consistently and with determination, you must start to work on your mind. It's not too hard to regain your self-esteem when you know that you are resolute in solving your skin problem. Acne patients most times are embarrassed, and this discomfiture often leads to social withdrawal, a feeling that prevents chronic sufferers from interacting socially because they are self-conscious about their facial appearance. Though we live in a world that lays great emphasis on beautiful celebrity type flawless skin, don’t be fooled. Over half of those great looking faces have blemishes too but it hardly affects them, neither do they feel uncomfortable and out of place. They are constantly photographed, they party and frolic with friends. You can be like that too. Keep to a daily skin treatment regimen and do not relent. 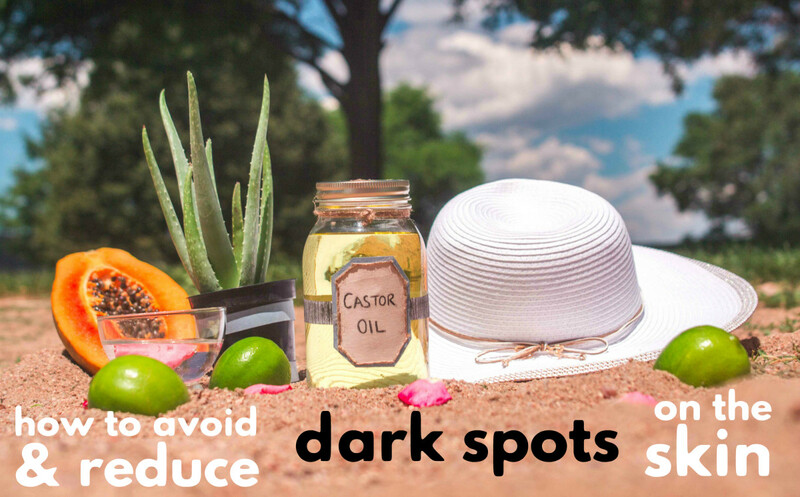 Wash your face often, exfoliate with homemade products at least three times a week if you have oily skin and a bad case of acne, but if you are just acne-prone and have dry skin, you need not exfoliate more than two times a week. This regimen will boost your confidence. Know that you are not alone. There are millions of teenagers and young adults with acne. Many of them just have a way to conceal it when they are out in the world. Learn how to apply makeup to conceal your acne. When you go out, you can hide your blemishes behind nicely applied makeup. Read inspirational books written by ex-acne sufferers and find out how they too overcame their self-esteem and self-confidence problems. Don’t think too much about your blemishes, just continue to treat your skin. Whatever products you use to treat your acne, use them persistently until you start to see results. When you start to see results, it will make you feel so good. Keep at it. Disregard snide or rude remarks from nasty and judgemental people. Stay away from toxic so-called friends and move with positive minded people. Nasty people have their own inner turmoil, and that is a fact. They lash out because they are not happy very happy themselves. I need to repeat this again, work constantly on improving your skin, it is a wonderful feeling and well worth the effort. Do not give up, neither should you give yourself a timeline. Just keep at it, even if it will take six, nine, or twelve months. Determination is the keyword. Do things that make you happy, it can be anything, as long as it makes you feel good, exercise, go to the gym, read happy books, party, start a craft, go for long works, anything, as long as it lifts your spirits. Avoid feeling of anxiety. You are not most people’s problem and they probably don’t even notice you have acne. Sometimes, you may feel that all eyes are on you but be assured that 98% of the time, they are not. Most times, that feeling is only in our minds. When your acne gives you the blues, listen to some good music. Music calms the nerves and soothes the soul. Do not allow bad skin to influence your life’s goals. Many models, air hostesses, actors, singers, executives, etc… have lousy facial skin too. You need to see some people with their makeup off! If you are a teenager and you have acne, there are millions of teenagers like you too. Don’t worry much, rather, expend that energy on taking care of your face. If your condition is very bad, see a dermatologist because it is best that acne is treated early before it starts to affect you psychologically. If you start too late that means you may start to get used to your condition and do nothing about it. You don’t want to do that. You may believe that you need some counselling. You don’t need to waste money on that, but if it is so bad that your self-esteem and pride are affected and you begin to suffer bouts of depression, perhaps you should. However, if you don’t take care of the root of the problem which is skincare, there will really be no point. If all fails, you can seek support through programs that have compassion and an understanding of people living with acne. They have all been through it before. They will help you to dispel feelings of isolation and hopelessness that is common amongst acne patients. Search online for Acne Support Groups, or, Acne Sufferers Forums. Alternatively, your doctor can refer you to a local group that helps people deal with acne problems. Remember, the first and most important thing to do is to fight your acne aggressively. That is the beginning of the road to regaining your self-esteem and self-confidence. First of all, you say even with your acne, some girls think you are cute. That means you have a cute face and a good nature for them to feel so. All you need to worry about is clearing your face. When you start to work on clearing it, you'll be amazed how you'll start to see some slight improvement gradually and consistently. You MUST NEVER GIVE UP ON THAT. Secondly, I doubt your parents will think you are crazy for asking to see a dermatologist. What is most important to you should be a clearer face. Keep your face clean and ensure you wash it first thing in the morning and last thing at night. Yes, washing your face at night can be hard to remember, but you want a clear face, free from acne and you need to do something about it, or it won't go away. Try hard never to feel embarrassed. It's hard, but you can do it. Just do what you have to do. You seem like a very nice person that people like and that shows that its you that they love and not your face, body, what you wear, etc..
Best of luck. I promise you, if you work on your skin with the help of your parents, in a month, you will start to see a difference. Hey there. I have suffered from acne since the 7th grade, im not in 9th and im 14 years young. Every time im at school im embarrassed to look at girls or talk to friends. I never look them steaight in the face, i always look down or try to cover my face. Its horrible. I don't know how some girls would think im cute because they do, but i don't think so.. Im tired of looking in the mirror every single day knowing that i have to go to school with over 3,000 kids seeing these bumps on my face. It saddens me, im not confident at all. Everyone in my family thinks im fine even though i have acne but in reality im not. Inside me is just screaming for help, wondering why my face isn't as clear as everyone else's. I don't want to tell my parents to take me to a dermatolagist because they'll look at me crazy and say everything will be fine. And that they'll buy some over the counter products, which has made it worse. Because ice pick scars are deep holes resulting from not treating acne in its early stages, they are not that easy to eradicate. However, one of the best treatments i have heard of involves doing a punch excision that may close smaller pick scars. If the holes are large but few, you may need a minor graft. But my advice to you is to talk to a dermatologist first, and find out if such procedures will work for your skin type. Trust me. People will want to talk with you if you stay amiable and not self conscious. They don't really care what you look like so don't let it get to you. Many have problems as well, so its not only you. Always remember that you are blessed in other ways you may not realise. As long as you seek help from your dermatologist and do something about it, you can look forward to better skin in the near future. Don't buy over the counter remedies as many may not work for you. I wish you all the best akky. And stay positive, and work at it. i have ice picks sars on my face and my forehead too. these r the results of the acne i use to have since i was 17.these look ugly. Even my behavior changed after this thing happened. I cant look in the face of other people and surely they don't wanna talk to me.is there any solution plz help. Hi Amare, im sorry for the late reply. If you have black "scars", which i believe may not be real deep scars but surface scarring that you get after healing of spots/pimples/acne, keep exfoliating regularly. With time, they will fade away. As long as you keep on doing what you should do to bring out healthier skin to the surface of your face, it will begin to have a healthy glow and the scars will fade off. The forehead ones are a bit more difficult, but with time... If the juice worked fine, continue using it but ensure its not too concentrated so it doesn't "burn" your skin. Its patience and perseverance that will make it work wonders. That's very helpful, Hub. Thanks very much!!!!! And the last question I have is what home remedies would u suggest me use to fade this black scars? I've been using lemon juice for some time and it did work but didn't fade them completely. The mark is still visible. By the way my acne is concentrated on my forehead and it looks black because of the scars. Okay i must first tell you it IS NOT that bad. And as you want to do something about it, that's even better because its a start. 1) Try your possible best to STOP popping your spots because that is what will develop into acne. I know it is hard because it has become a habit, but you must try Amare. 2) Make sure you treat your face diligently AND regularly, meaning keep it clean by washing with a mild soap at least 2 times a day, EVERY DAY. Morning and before going to bed is fine, but it must be regular. 3) Use acne preventing/fighting products everyday. 4) Set a goal. Start off with say 3 months. Work on your face regularly and you will begin to see results. Trust me. 5) Don't feel depressed Amare, just keep doing what you have to do. its all in your hands. If you work patiently at something WITHOUT GIVING UP, you are bound to be pleased in the long run. And remember to channel your energy towards positive thoughts. Don't worry too much about what people think or say now. Worrying only wastes precious time needed to make yourself look good. Just focus on getting your face looking better. That's what should be uppermost on your mind, nothing else, apart from your studies. By the time you are 21, your face should look great and your self esteem boosted. The secret is to make a habit of working on your face always. And its not really that hard! help!!!!!!!! Hey Guys, i had a bad acne experience so far. And I have a bad habit of popping them which left me with black scars. I'm 18 and a university student. I'm very depressed. I hated everything. Even my behavior changed after this thing happened. I cant look in the face of other people, cant take a photograph either. I always see myself as a useless boy. The worst thing is I'm very disappointed when people stare at me for so long. Sometimes, I feel like committing a suicide. The only one I have now is God. In short, I AM TOTALLY IN A WORST SITUATION!!!! Help me please, what shall I do?? Arrianna, i know exactly how you feel because I have been there before. Firstly, DON'T DESPAIR. the way you feel is natural but you must now go a step further. Are you using any skincare remedy? If not, you should. Tell your mum to take you to a dermatologist. If you are, that's good. But then stick to it religiously Arri. And i mean that you must use whatever has been recommended to you all the time. Don't ever stop, not even for a day. Look in the mirror every morning and say to yourself "Im going to get rid of you bumps, and im going to work on you until i start to look good". And trust me, you will get good facial skin if you work on it. One thing though, try your very best not to feel embarrassed because that wont take them away either. Remember, EVERYONE has one thing or the other that's not quite right with them. Buck teeth, BO, funny toes,etc. In your case its only bad skin which is very easy to fight IF you are determined. I used to worry just like you Arri, but i always kept to my skincare regimen and it did pay off in the long run. Don't ever allow low self esteem to "grab" you. You will feel more encouraged when you start to see good results. But you only get good results when you treat acne continuously without giving up. Sometimes, it may seem what you use is not working or not working fast enough, but it probably will if you use it as you should for a minimum of 2 months before deciding whether its working or not. Don't cry about it anymore. Wipe your tears and start to work really hard to fight your acne and build your self confidence up again. I wish you the best of luck and a beautiful flawless skin. My name is arrianna and I'm 14 years old I'm a freshman n highschool. I have really low self esteem. I can't even look in the mirror. Its gotten so bad tht I don't even look people in the face. I don't know what to do. I jus wanna feel pretty. I feel hideous. I tried everything :(. I'm losing hope. I just want to have clear skin. I want to have confidence again. Its so hard goin through life knowing I have all these bumps on my face. Sometimes I just wonder why did this have to happen to me. I don't want to go school because I'm not pretty like the other girls. I hate my acne..its terrible. I just sit in my room and cry. Im so happy to hear this about your success. How you had acne for so many years, how you have finally combated it and how the results has boosted your self confidence. What i can say is that your self determination, never really giving up, coupled with your dear parents assistance and guidance has gone a long way in making you achieve such wonderful results and a new lease on life. I can bet that you will never suffer that degree of acne again. Your determined spirit will not allow it. Best wishes for your senior year, college, and a brilliant future. THanks for this hub, this is very useful hub. Not having suffered acne, this was revealing. My S-E drop was due to a pill I had to take that rendered me a zombie, and therefore a dummy in school. Nice hub. Thanks Daniela, and thanks for visiting. This is very helpful hub. Thanks!! Marisa, thanks for your comments, and that is a great tip you just gave me now that i think about it. You may be right, i'll see what i can do about that. Thank you Earnestshub for the nice comments. I'm glad to be of some help. Good advice, although I worry about that word "aggressive". I'd prefer something like "pro-active". Some people might interpret this as a call to treat the skin aggressively with harsh products, which as you know, can often make matters worse. Great hub. My son has acne, and it is affecting his self image. I have shown him this article, and he is off to see a dermatologist next week. Thanks for the data!